Dancehall Star J Capri Meets In Car Accident & Is Hospitalised!!! Rising dancehall star Jordan Phillips otherwise known as J Capri has been in a serious car accident and is currently in surgery. According to her assistant Danielle Francis. Jordan needs a lot of type O blood and is asking her well wishers to come to the University Of The West Indies Hospital in Kingston, Jamaica to donate ASAP! 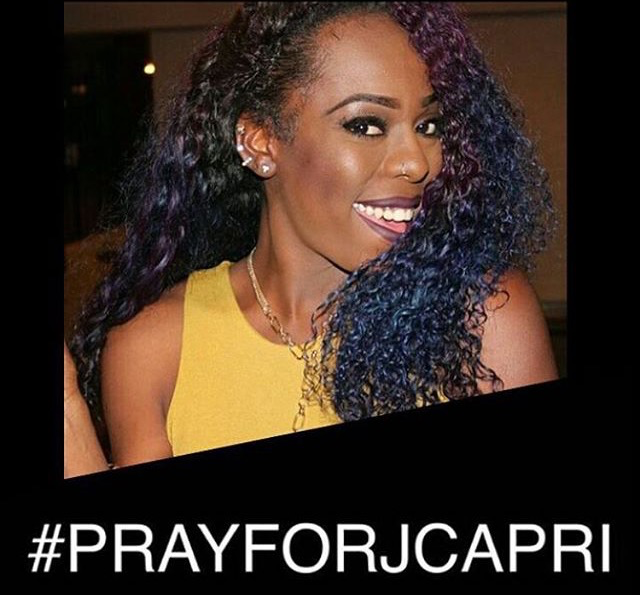 J Capri, met in a motor vehicle accident at approximately 12:30 this morning. Jordan sustained injuries, underwent emergency surgery and is now hospitalized. Jordan has shown positive signs and is currently stable. Her family thanks everyone for their encouraging comments and support, and asks that you continue to keep Jordan in prayer. There is currently a blood drive in aid of Jordan at any blood bank in Jamaica. With respects to J Capri and her family they ask to discourage the circulation of graphic images and videos in relation to the accident. J Capri is known for her hits such as Pull Up To Mi Bumper, Reverse It & Whine & Kotch. Will keep you posted as the story develops.